Car accidents can be traumatic events, and sometimes it’s human nature to want to flee the scene. In California, the law states clearly that anyone involved in an accident that causes property damage, injury, or death, must stop at the scene. Even if there is no one else around, (if you’ve backed into a parked car, for example), you are required to leave a note that contains your contact information. If you’ve been involved in an accident, regardless of what transpires in the immediate aftermath, you need professional legal representation. Schedule a free consultation with one of our Los Angeles car accident attorneys at Ellis Law today, and describe your version of the crash. What is the punishment for leaving the scene? Leaving the scene of an accident before exchanging information is commonly referred to as a “hit and run.” This is against the law in California, but whether it’s a misdemeanor or a felony depends on several variables, including the severity of property damage and injuries, and whether you have a history of breaking the law. If you back into a mailbox and take off, hoping to escape paying for damages, and the homeowner can identify your vehicle through security footage, you’ll most likely end up paying a fine. If you’re involved in an accident that causes death or serious injuries, you may be looking at jail time. Either way, it’s important to have legal representation. What if I’m the victim of a hit and run? 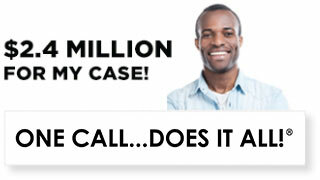 If you’ve been hurt in an automobile accident, contact a personal injury lawyer from Ellis Law right away. Consultations are always 100% free and confidential, and you’re under no obligation to retain our services just for meeting with us. We’ll work towards establishing fault. The fact that the other driver left the scene means it will be hard for them to defend their version of events in court. Assuming the driver can be identified, they’ll probably end up paying a much heavier fine than if they followed the law and stayed at the crash site. You may be able to seek damages in excess of what is normally awarded given the other driver’s irresponsible actions following the accident. 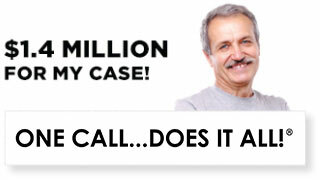 Car accidents happen all the time in the Los Angeles area, and sometimes liable drivers flee. Make sure you’re protecting your rights with a talented legal team in your corner. At Ellis Law, we believe the good folk of Southern California deserve top-notch legal representation whether they can afford an attorney out of pocket or not. The thought of hiring a lawyer after an accident can be daunting, especially if it’s a complicated case, like a hit and run. We strive to make the process as pain free and easy for you as possible. If you’re too hurt to come to our offices, we’ll make an appointment to visit you in your home or care facility. 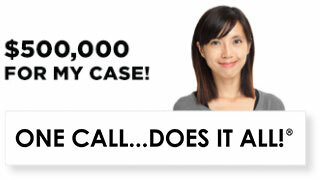 If we decide you have a case, we’ll get to work right away with no upfront legal fees. 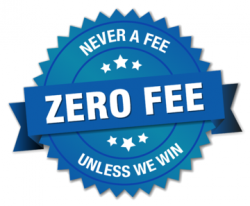 Our team works on contingency fees, which means you won’t owe us a thing unless we win you a jury verdict or agree to a fair settlement. A lack of funds shouldn’t stop you from pursuing justice. Sit down with one of the expert Los Angeles personal injury lawyers from Ellis Law today, and we’ll get to work building your case. $3 Million: Fatal truck accident in L.A. 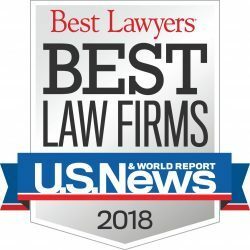 When your health, financial stability, and happiness are on the line, turn to the law firm that U.S. News and World Report has named #1 in the Los Angeles region.